I’ve moved my blog to a new address – please come by. Thank you for visiting and chatting here. Hope to see you in my new spot! Ever been in on one of these? “Good-bye … yes, good-bye then … thank you … it was nothing … well, we’ll be off then … we must have lunch … I’ll send you that file by email … do you have your salad bowl? No? Let me wash it …” And on it goes. On. And on. Now that I know this is a studied-and-proven anthropological truth, all kinds of things are falling into place! 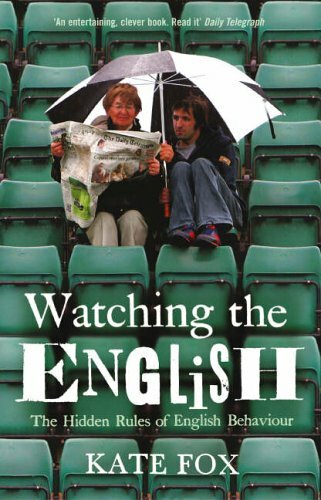 It took me a few pages to twig to the author’s tone, but once I did, I found the book Watching the English, The Hidden Rules of English Behaviour to be a hoot. Anyone with a whiff of a British background will relate. Author Kate Fox begins by dissecting the English love of discussing The Weather. This, she says, is never actually about the weather. It’s mandatory to agree with the other person’s opening gambit she points out – not doing so is a serious breech of etiquette. And on she goes for 12 more pages. Oh and best not say pleased to meet you when being introduced. Whatever its origins or dubious logic, the prejudice against ‘pleased to meet you’ is still quite widespread meaning that if it is uttered at all it’s likely mumbled and becomes ‘Plstmtye’. Summing up the business of introductions Kate tells us that being too formal is embarrassing, But then, informality is equally embarrassing. Everything is embarrassing. 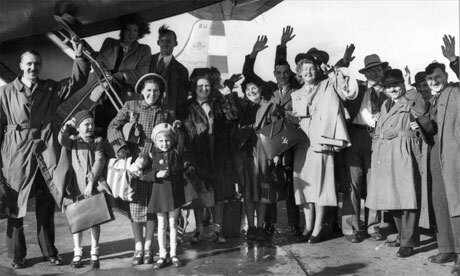 Rushed messy introductions are made up for in protracted, meaningless, insincere good-byes (note the plural). Hmmm – more on that later! What fun! I was at an Olympic news conference earlier today and among the usual rag-tag group of reporters scrumming Premier Gordon Campbell one young man stood out – and I am talking young. Brennan LaBrie turned 10 last September. A few minutes later, at a presser for silver medal skater Marianne St-Gelais, Brennan was at the mike with a question. I can’t even recall what he asked, I was so taken with his confidence. 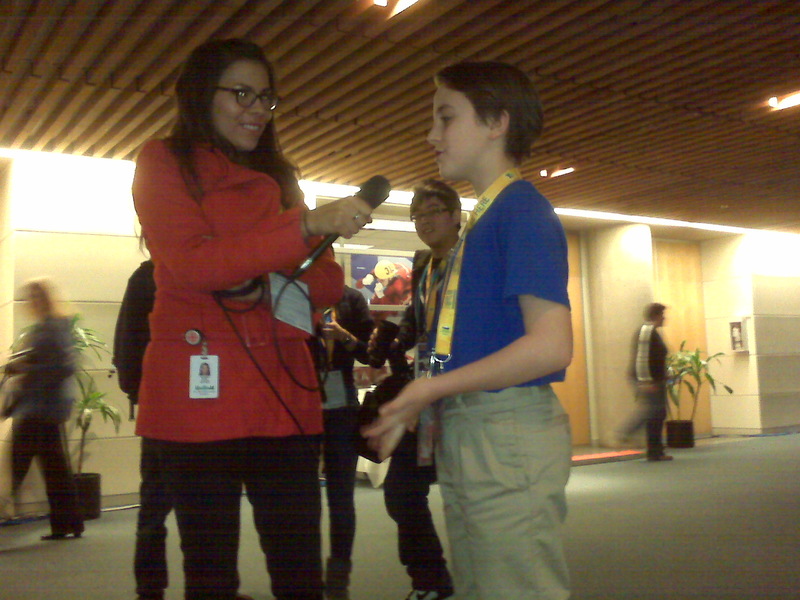 His business card (yes, he has cards – well, him mum was carrying them for him) says Kid Reporter. At today’s event he was gathering copy for TIME for Kids. His presence created quite a stir. Next time I saw him he was at the other end of a CBC radio reporter Renee Filippone’s mike. His mum said he’d been interviewed several times since arriving in Vancouver from his hometown of Port Townsend, Washington. She also said he was having a blast. “He’s always asking questions,” she said. “Why wasn’t quite his first word, but it came really early on.” Way to go, Brennan – you’ve picked a great career! 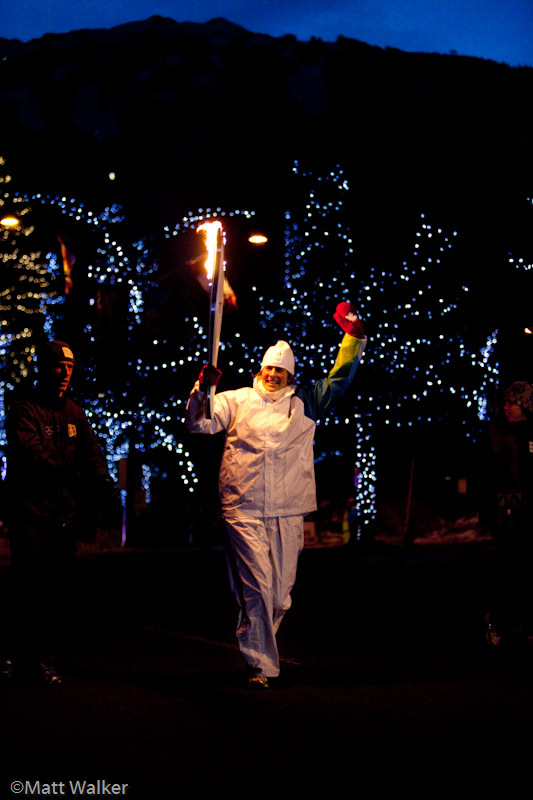 Yesterday my little sister Cate was runner # 001 in the 2010 Olympic Torch Relay at Whistler. What a thrill to be a part of it and see the workings of the relay up close. It’s hard to imagine something this complex can operate with blazing precision yet be warm and human – but that was my sense of it. It was 6:40 a.m., dark and nippy as our cheering section of eight gathered in the deserted parking lot. Within minutes our numbers grew. Dozens of uniformed RCMP officers materialized for a photo, vans drew up, Cate hopped out of the torch-bearer bus, cameras flashed, the famous miner’s light appeared in the gloom, her torch was aflame and she started to run – you could say magic was afoot. It was truly beautiful – the blazing torch, the draped strings of tiny lights, a happy, jostling crowd beside Cate, the reflecting Olympic rings on the backs of officials who scurried in and out, on foot, on bikes and on time! In what seemed like a trice Cate had covered her distance and touched the torch of runner # 002. The flame danced higher and brighter for a moment and the operation moved on. A magical interlude for Cate and for us and, it seemed to me, for everyone gathered. Congratulations Cate – a well-deserved honour. Shine on! The New York Times announced this week that they will start charging frequent users for their paper online. Good, I thought, who better to take the lead on this “monetizing” thing. 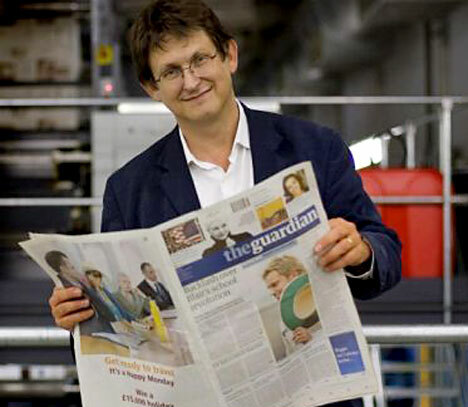 Then a friend sent along a lecture by the editor of the Guardian newspaper who, to my surprise, thinks erecting a “pay wall” is wrong. Now I’m reconsidering. After all, we can now benefit from multiple platforms and ways of telling a story. Isn’t this better journalism? I have officially changed my mind. 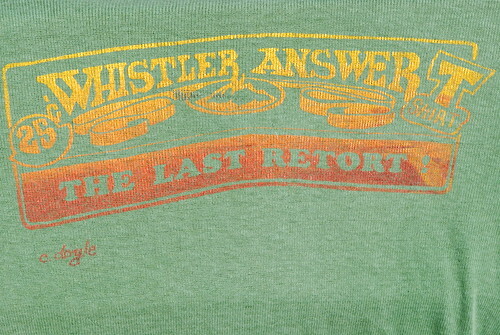 In the early ’80s I lived in Whistler, reporting for the Whistler Question newspaper. Blackcomb was brand new, we did our banking in Pemberton and drove to Squamish for groceries. I relish the occasional chance to relive our tales of derring-do so recently enjoyed paging through Stephen Vogler’s Only in Whistler, Tales of a Mountain Town. I especially loved the anecdotes about the rise and demise – then the rise again – of the town’s other, more fringy, paper, the Whistler Answer – a more creative and irreverent rag that had appeared monthly. He goes on to describe how those associated with the Answer quickly got the hang of press accreditation. When founding publisher Charlie Doyle showed up for one World Cup downhill race to claim his press credentials he was told he was the 12th Answer staffer that day. “There were style consultants and horoscope writers … all lined up to drink the Molson’s,” said Doyle. Vogler’s book is a fun read – though I suspect you had to be there. And RIP the Whistler Answer. The Information wants to be – accurate?